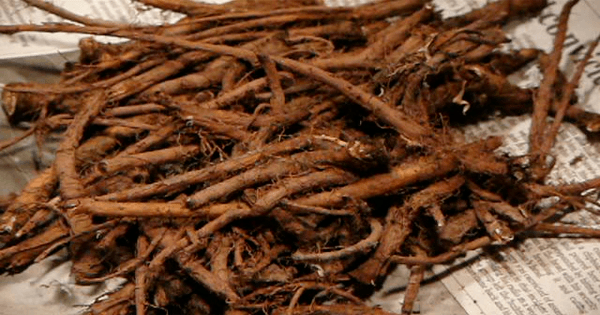 Dandelion Root and Cancer – The Truth, and More! There is much hype about the benefits of dandelion root as a cancer treatment, and people wonder if they should take or recommend this “magic” root as a cancer treatment. So let’s take a closer look into all that you need to know about dandelion root and its benefits. Does Dandelion Root Prevent Cancer? No. At least, it has not yet been proven to treat cancer in humans. Then the answer would be a resounding yes. Many studies have shown dandelion root extract to have inhibitive properties on cancerous cells. But all of these studies have been conducted on isolated cells, not on cancer patients. Let’s discuss this in light of research conducted on dandelion root. On 29th of September, 2016, an article was published in Health Eternally which claimed that “recent research” proved that dandelion root treated cancer. However, the research that was linked to it was a CBC report published in 2012, which entailed that doctors “hoped” to test the effects of dandelion on cancer patients for one specific type of cancer— chronic myelomonocytic leukemia. The CBC report relayed nothing to indicate that dandelion root was a conclusive remedy for cancer. Following the 2012 report, a trial was approved by Health Canada in 2013—as detailed in the 2015 CBC report update. Dr. Caroline Hamm, the medical oncologist leading the study, said that, “Most of the responses that I have seen are very short. But there’s a signal there that I think is worthwhile of further investigation”. So, while the dandelion root does indeed have anti-cancer properties, and has shown promising results in labs as an ingredient that inhibits cancerous cell activity, there is need for further, more substantial research to be done in this regard. As for the patient, John DiCarlo, who was referenced in the 2012 CBC report to have taken dandelion tea and being cured of leukemia, it is possible that the patient went through a rare but well-documented phenomenon known as spontaneous remission, in which the cancer cures on its own. It is also possible that the dandelion root tea worked as an anti-cancer agent and brought about the cancer remission, but unless further research on humans proves the case to be true, it is safer to say that there is no substantial proof that dandelion root treats cancer. Hamm was convinced that the weed contains an active ingredient, but warned “it can harm as well as benefit.” She said taking dandelion extract tea could interfere with regular chemotherapy, and she urged patients not to mix the natural remedy with other cancer drugs without speaking to a doctor first. Taking a natural remedy for a disease as serious as cancer, without researching or consulting with a doctor can prove to be extremely dangerous. The problem here is not the taking of an additional, inexpensive, natural supplement, but that some cancer patients might become so averse to the standard treatments with the hype of “treating cancer naturally” that they might choose unproven treatments instead of the science-backed therapies, allowing their disease to progress at a dangerous pace during the interim (See Jessica Ainscough). However, this does NOT mean that the dandelion root is useless. On the contrary, it has numerous health benefits which you can benefit from (just as long as you’re not taking it to treat cancer). Below is list of four central benefits I feel that you need to know about. Improving the Immune System: Our immune system is a huge network of organs, tissues and cells that work together to defend the body against any external harm, such as microbes and fungi that grow and lead to various infections in the body. Studies conducted on dandelion have shown that it boosts the immune function by fighting off microbes and fungi. With the immune system working round-the-clock to battle external threats, a natural aid helping the immune system is certainly beneficial. Dandelion Root is a Diuretic: Diuretics help the body expel the bacteria that has been building up inside, and reduces the risk of urinary tract infections. Dandelion is an extremely powerful diuretic, as proven by research, and it is valuable for people whose bodies retain too much water. Rich in Calcium and Vitamins: Dandelion is a rich source of vitamins and calcium. Apart from cabbage, dandelion has the highest boron content. Dandelion also has more than 20,000 ppm of calcium, meaning that just ten grams (just under seven tablespoons) of dried dandelion shoots could provide more than 1 milligram of boron and 200 milligrams of calcium. If that sounds like too much dandelion to take in a day, remember that taking dandelion root tea would be much easier and in this way, a higher dosage can be ingested easily. Apart from calcium and boron, dandelion also includes a high amount of Vitamin A and Vitamin C, both of which play a vital role in maintaining the health of the body. Use It for a Healthy Liver: The effects of dandelion were observed by researchers in the chemically-induced liver damage of mice. The study concluded that that the antioxidant properties of dandelion created a protective effect against the problem. Another animal study reveals the protective effects of dandelion on a liver deficient in essential nutrients like the amino acid Methionine and the macronutrient Choline. You can make dandelion root tea either from fresh or dried chopped roots, or roast and process the roots into a powdery form to make the drink. Note: If you’re thinking, “Hey! I don’t have dandelions in my garden. Where can I buy dandelion roots?” Don’t worry. You can easily buy them online. Just make sure they are truly organic dandelion roots. Let’s talk now about how to make the tea in both forms. From Fresh Roots: If you already have dandelions in your garden (or a friend’s garden), and can access them easily, you can make the tea from fresh roots. Just make sure they have never been sprayed with weed killer. From Dried Roots: If you have saved up your dried roots and need to make some tea, here is what you will need to do. Note: While steeping, the temperature of the tea would naturally go down to the room temperature. So if you like your tea piping hot, you can simply reheat it.